HOAs: To Reserve or Not to Reserve? Many homeowner associations’ boards of directors find themselves working on their association budgets for the upcoming fiscal year. A good deal of those budgets will include line items for the funding of unforeseen contingencies. In some instances, the directors preparing such budgets will classify the funds in those line items as “Reserve” funds without knowing that laws governing Florida homeowner associations provide for special treatment of such funds. Since the use of designated reserve funds are restricted by Florida law, community association directors should exercise caution before categorizing a budgetary contingency line item as a reserve account. Specifically, Florida law provides HOA boards with the discretion to fund their association’s budget with reserve accounts for capital expenditures and deferred maintenance for which the association may be responsible, except to the extent that the association’s developer established the reserves or the associations’ membership elected to provide for budgetary reserves. Therefore, while it is advisable for associations to have some funds on hand for anticipated capital expenditures and deferred maintenance, in the event that HOA reserves were not established by the association’s developer or the associations’ membership, then boards might wish to consider categorizing such funds as something other than “reserves” (e.g. “Contingency Funds”). Of course, directors in those communities without “reserve” accounts should be mindful of limits that might be imposed upon increases resulting in the level of assessments charged to owners as a result of the increases to budgetary funding for capital expenditures and deferred maintenance. Additionally, directors HOAs without established reserves will have to be sure to comply with statutorily required disclaimers to the association’s membership if the association is responsible for the repair and maintenance of capital improvements that may result in special assessments if reserves are not provided. The terms of such disclaimer will differ in the event that formal reserves have not been established but the association is providing for the funding of capital expenditures and deferred maintenance. For those HOAs with reserves established by the association’s developer or membership, directors should pay special attention to the statutory conditions for the funding of such accounts and the limitations imposed by law as to the use of the funds accrued in reserve accounts. For instance, the applicable statutes provide a formula that must be followed as to the annual funding of the reserve account. Additionally, once reserves are formally established, the applicable statutes permit for the funding of reserves to be reduced or waived upon obtaining a favorable vote from a majority of the association’s membership voting at a meeting at which a quorum is present. Lastly, the funds that have accumulated in reserve accounts shall remain in such accounts and shall be used only for authorized reserve expenditures unless their use for other purposes is approved in advance by a majority vote at a meeting at which a quorum is present. 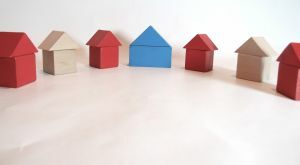 Once again, the foregoing serves to illustrate the importance of having HOA directors work closely with a team of experienced and qualified community association managers, accountants and attorneys in order to steer clear of the pitfalls that may arise in the complex world of community association administration.